Birchbox Subscriber Sundays Giveaway – Ends March 29, 2014 at 11:59 p.m. ET. Limit: Each entrant may enter/play (1) time per week. Each week consists of a new set of instant win prizes. NO PURCHASE NECESSARY. See here —> for Official Rules. Weekly start time on first day each week is 12:00am ET and the end time on the last day that week is 11:59pm ET. This is the 5th week in so I am only including week 5 and onward. Weekly Game Period 5: (20) FIRST PRIZES: A Men’s Grooming or Lifestyle Prize Pack ARV: $75. (20) SECOND PRIZES: A Women’s Grooming or Lifestyle Prize Pack ARV: $75. 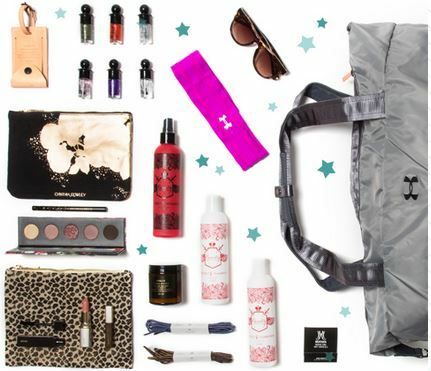 (10) THIRD PRIZES: A Birchbox Editorial Prize Pack or Discovery Specialist Pack. ARV: $40. Weekly Game Period 6: (20) FIRST PRIZES: A Men’s Grooming or Lifestyle Prize Pack ARV: $75. (20) SECOND PRIZES: A Women’s Grooming or Lifestyle Prize Pack ARV: $75. (10) THIRD PRIZES: A Birchbox Editorial Prize Pack or Discovery Specialist Pack ARV: $40. Weekly Game Period 7: (20) FIRST PRIZES: A Men’s Grooming or Lifestyle Prize Pack ARV: $75. TWENTY (20) SECOND PRIZES: A Women’s Grooming or Lifestyle Prize Pack ARV: $75. (10) THIRD PRIZES: A Birchbox Editorial Prize Pack or Discovery Specialist Pack ARV: $40. Weekly Game Period 8: (20) FIRST PRIZES: A Men’s Grooming or Lifestyle Prize Pack ARV: $75. (20) SECOND PRIZES: A Women’s Grooming or Lifestyle Prize PackARV: $75. (10) THIRD PRIZES: A Birchbox Editorial Prize Pack or Discovery Specialist Pack ARV: 40. Weekly Game Period 9: (20): A Men’s Grooming or Lifestyle Prize Pack ARV: $75. (20) SECOND PRIZES: A Women’s Grooming or Lifestyle Prize Pack ARV: $75. (10) THIRD PRIZES: A Birchbox Editorial Prize Pack or Discovery Specialist Pack ARV: $40. Weekly Game Period 10: (20) A Men’s Grooming or Lifestyle Prize Pack ARV: $75. (20) SECOND PRIZES: A Women’s Grooming or Lifestyle Prize Pack ARV: $75. (10) THIRD PRIZES: A Birchbox Editorial Prize Pack or Discovery Specialist Pack ARV: $40. Weekly Game Period 11: (20) A Men’s Grooming or Lifestyle Prize Pack ARV: $75. (20) SECOND PRIZES: A Women’s Grooming or Lifestyle Prize Pack ARV: $75. (10) THIRD PRIZES: A Birchbox Editorial Prize Pack or Discovery Specialist Pack ARV: $40. Weekly Game Period 12: (20) FIRST PRIZES: A Men’s Grooming Lifestyle Prize Pack ARV: $75. (20) SECOND PRIZES: A Women’s Grooming or Lifestyle Prize Pack. ARV: $75. (10) THIRD PRIZES: A Birchbox Editorial Prize Pack or Discovery Pack ARV: $40.